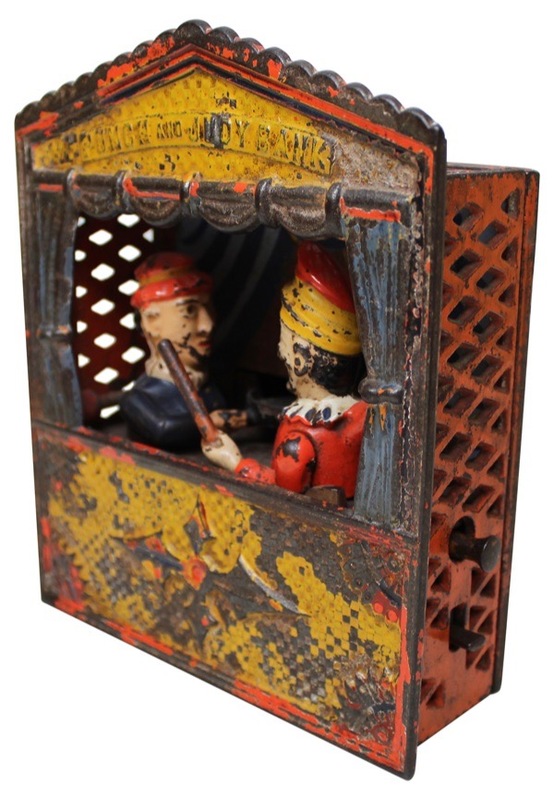 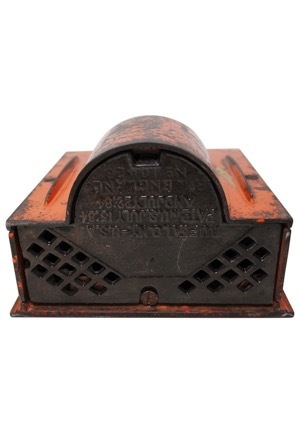 This cast iron bank stands approximately 7” high and depicts a theatre with the name “PUNCH AND JUDY BANK” embossed above and features figures performing. 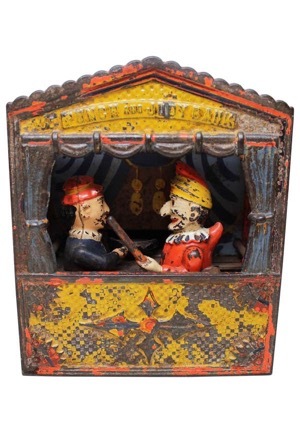 She moves her frying pan to the right for placement of a coin, and when the lever is pushed, she quickly moves the coin to her left, while Punch waves his stick. 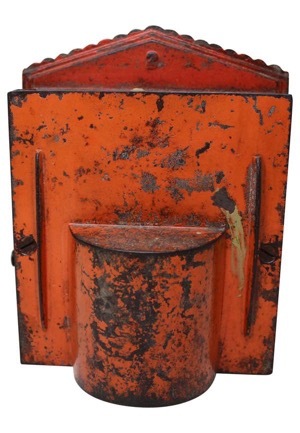 There are areas of paint loss and obvious signs of aging.